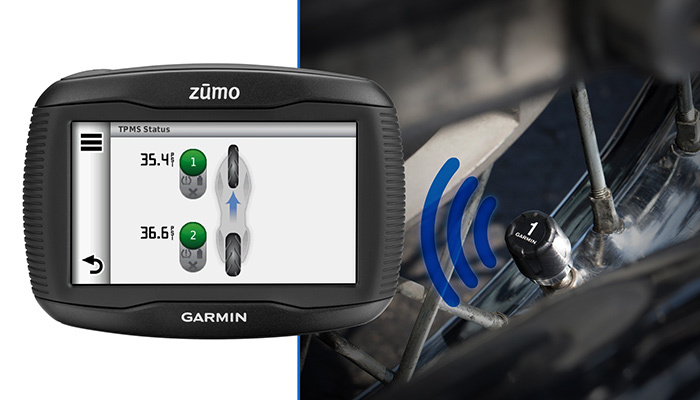 Fasten 1 TPMS sensor to each metal tire valve stem, then pair TPMS with your zūmo® 390. TPMS uses ANT technology to deliver pressure data wirelessly to your zūmo 390. View the real-time data right on your zūmo display.